IISD Reporting Services (IISD RS) has produced daily web coverage and a summary report from the Congress. 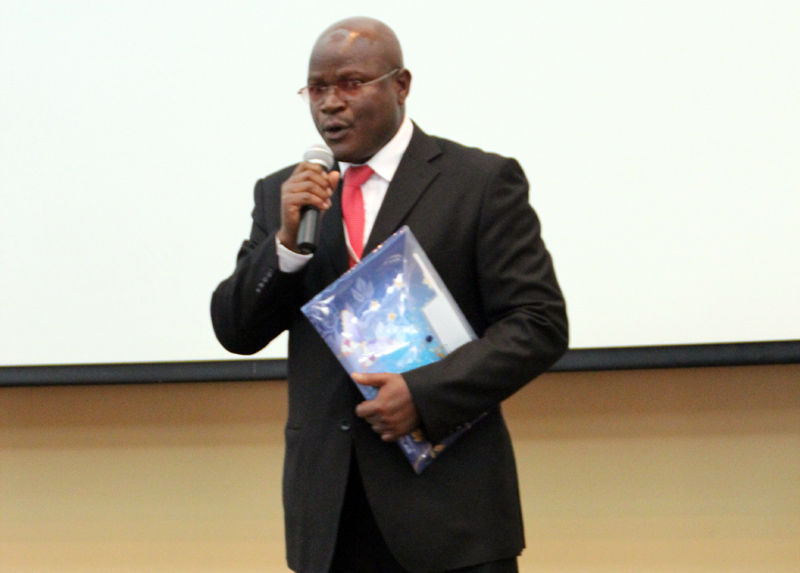 To download our report, click the HTML or PDF icons below. The Congress opened on Tuesday morning with an opening ceremony featuring a performance by the Kenya Forest Service choir. 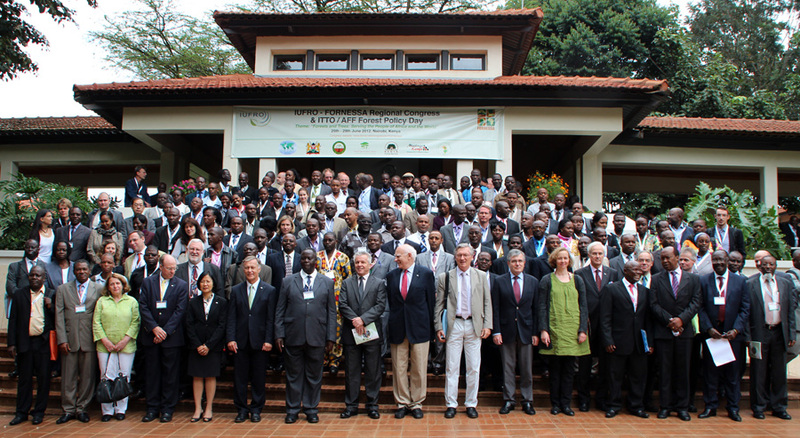 Participants then heard welcome remarks from: Ben Chikamai, Director, Kenya Forestry Research Institute (KEFRI); Victor Agyeman, FORNESSA Chairman; Tony Simons, ICRAF Director General; Niels Elers Koch, IUFRO President; and Noah Wekesa, Minister of Forestry and Wildlife, Kenya. 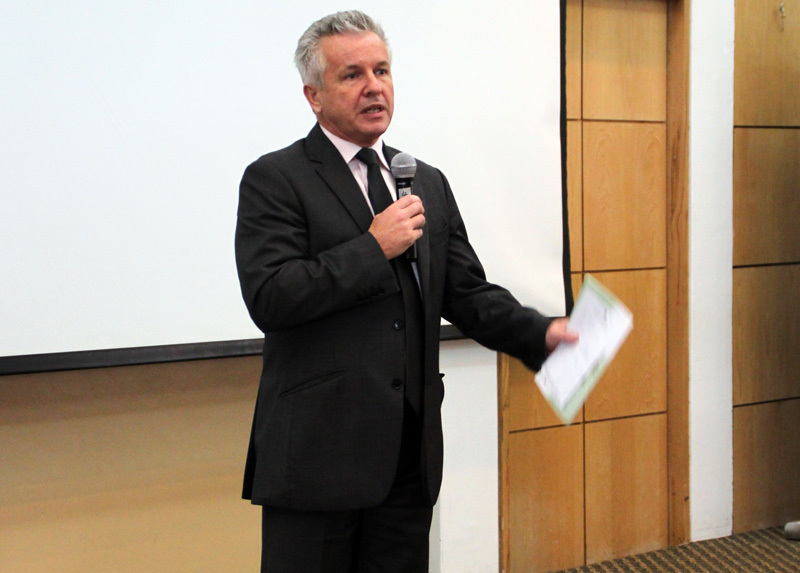 Subsequently, Tony Simons addressed participants on landscape approaches to future forest and tree resources management. 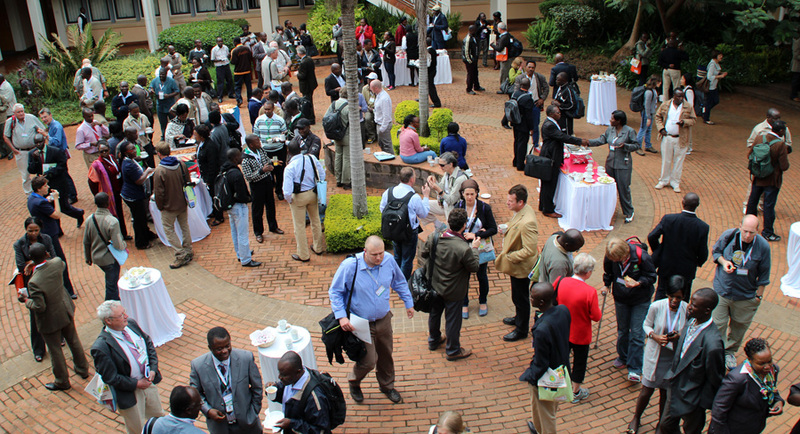 In the afternoon and evening, participants gathered in breakout technical sessions on: climate change; agroforestry; forest health; forest plantations development; forest products industry and trade; forest hydrology and ecosystem services; REDD+ (reducing emissions from deforestation and forest degradation in developing countries, and the role of conservation, sustainable use of forests and enhancement of carbon stocks) and restoration activities in Africa; the Meliaceae working group; community-based resource management; and multipurpose forest tree species management. 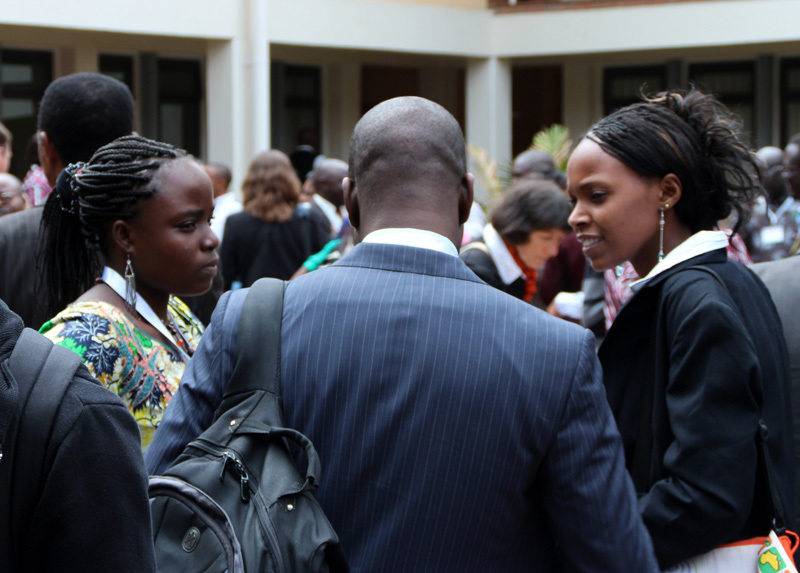 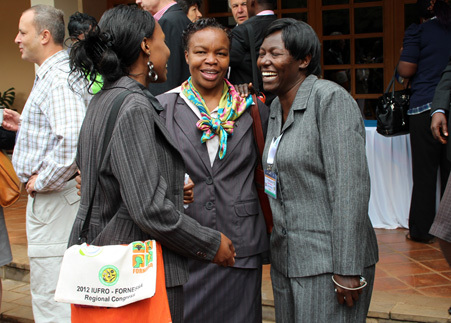 Tuesday concluded with a welcome reception for participants, hosted by ICRAF. 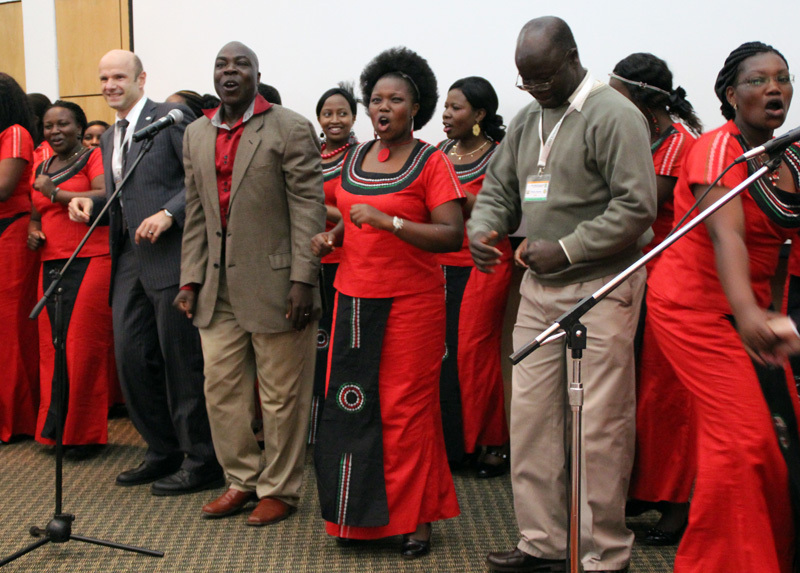 The Kenya Forest Service choir entertains participants with lively local music. 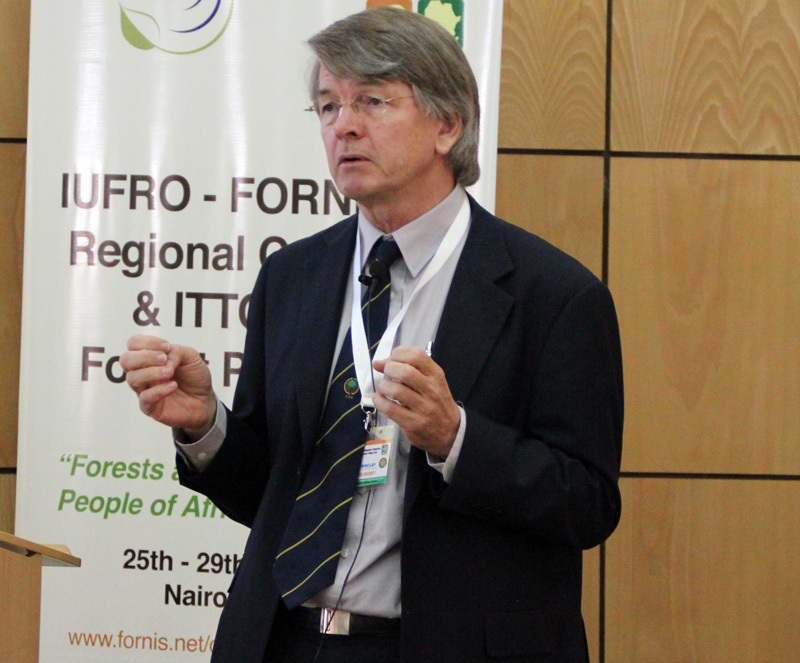 Niels Elers Koch, IUFRO President, highlighted that the Congress aims to provide an opportunity for African forest scientists to help forge the way forward in forest management. Tony Simons, ICRAF Director General, noted the significance of holding the IUFRO-FORNESSA Congress in Africa, highlighting it is a continent facing significant forest and land degradation challenges. 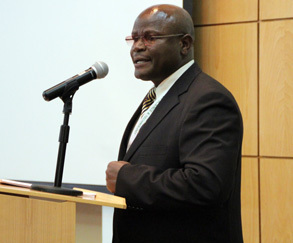 Ben Chikamai, KEFRI Director, opened the Congress and welcomed participants and dignitaries. 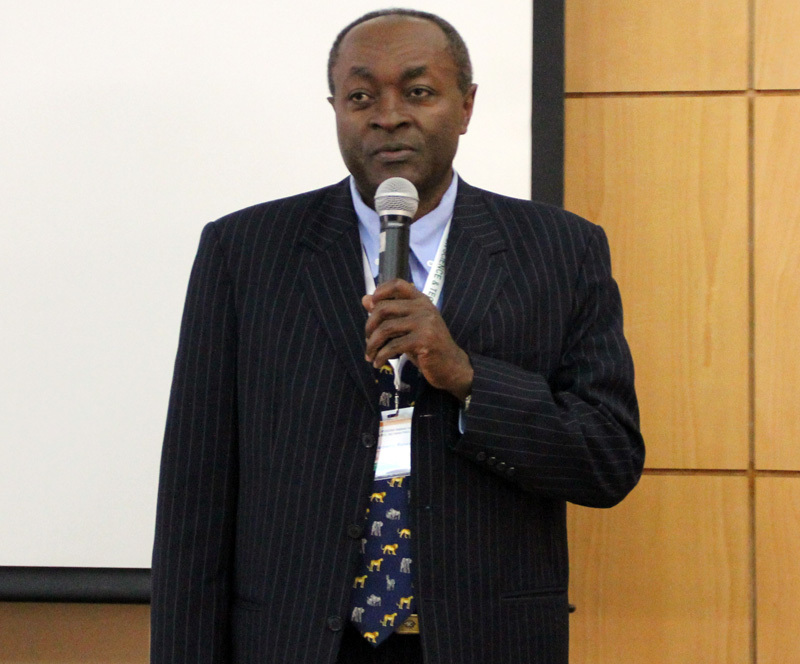 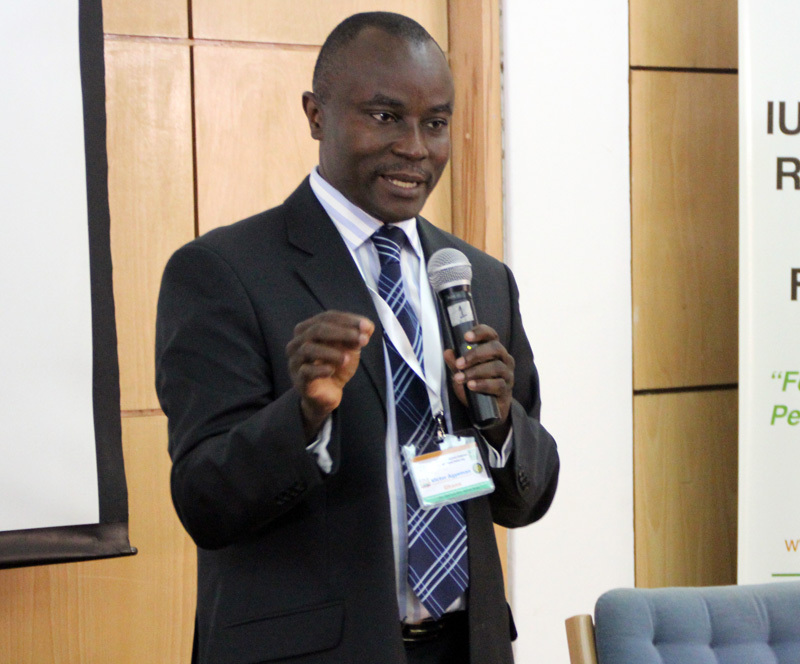 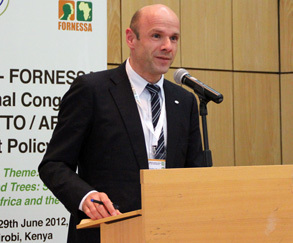 Victor Agyeman, FORNESSA Chairman, urged participants to cooperate in building FORNESSA as a vibrant network. Participants during the lunch break. 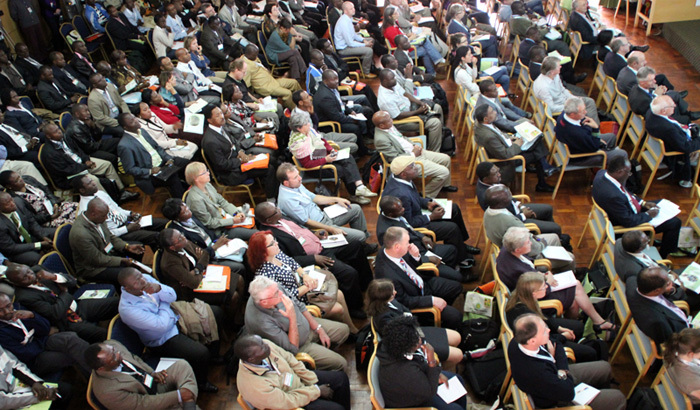 Overview of the Conference Hall during the Plenary Session. 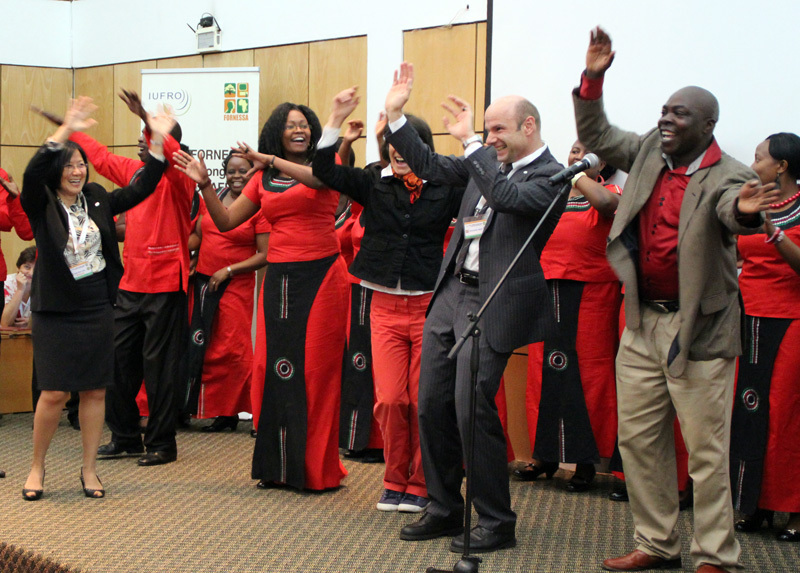 Participants dance with the Kenya Forest Service choir. On Wednesday morning, participants continued discussions in breakout technical sessions. 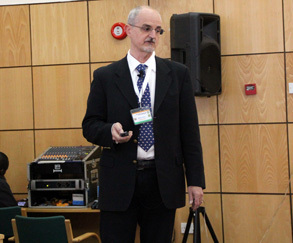 During the session on national scale monitoring systems, participants heard presentations about various monitoring systems, including both traditional and new systems, such as the measuring, reporting and verification (MRV) tool for carbon management of forests, allometric equations for measuring carbon, functional branch analysis, and models for simulating large-scale changes in plantation forests. 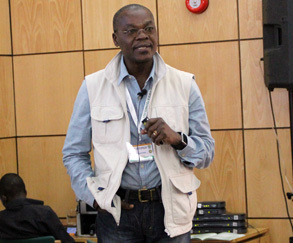 In the session on invasive alien species, participants heard presentations on: the distribution, impacts and control strategies in Ghana of Broussonetia papyrifera, the deciduous Paper Mulberry tree, which when introduced to non-native areas, can become invasive and disrupt the natural habitat; the threat of Castilla elastic, the non-native Panama Rubber Tree, to the lowland tropical rainforest of Tanzania; options for managing the winter bronze bug in Africa; the rescue of timber forests in Cameroon from Chromolaena odorata, commonly known as Siam weed; the structure and composition of the riparian forest in the University of Agriculture Abeokuta, Nigeria; and the effects of Prosopis litter on the occurrence of Acacia in Northern Kenya. 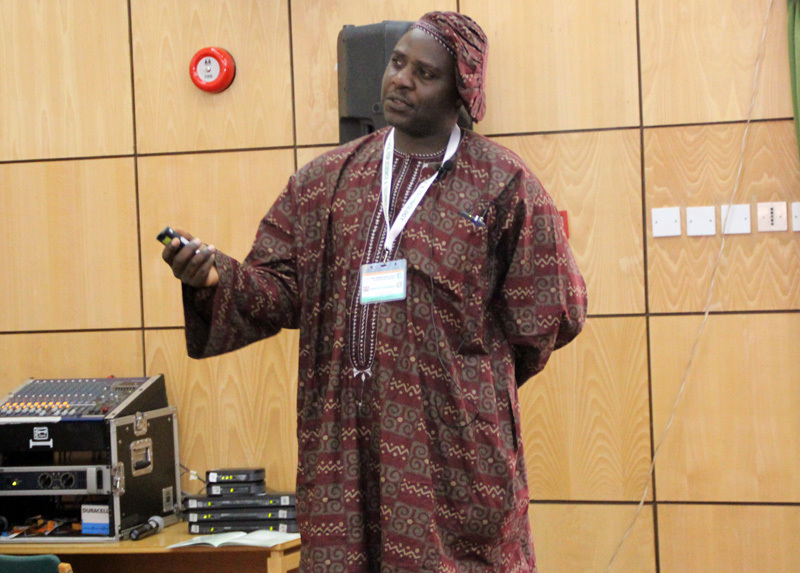 Discussions during the session on on-farm trees in traditional land use systems in tropical Africa, focused on multiple use resource management in the context of woodlands and the ethnobotany of Shea tree conservation and harvesting. 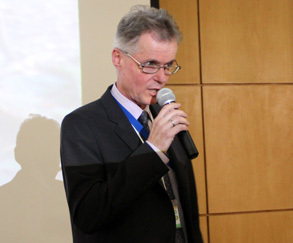 During the session on forests, trees and livelihoods, presentations were made on: tree planting strategies in Ethiopia’s highlands; economic contributions by forests to Senegal’s national income; the ecological and socio-economic importance of a drought-resistant Balanites aegyptiaca (desert date) species in Niger’s Tahoua region; improved harvesting strategies of Eru tree species in Cameroon; and accounting the value of forest ecosystem services. 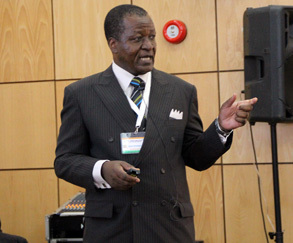 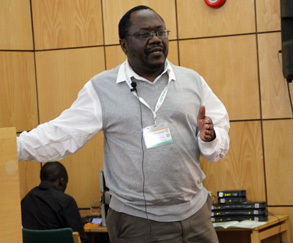 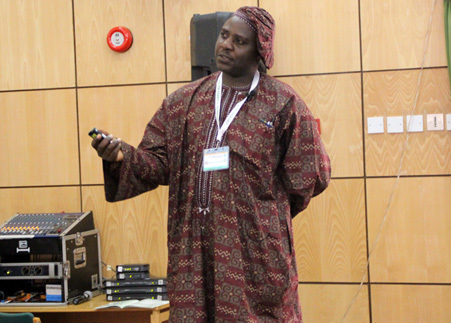 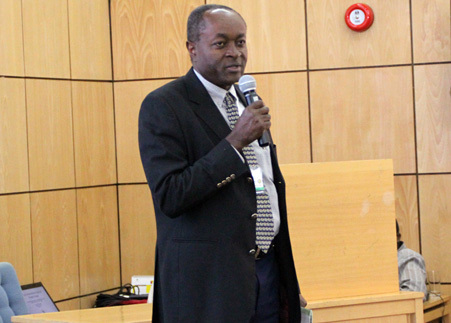 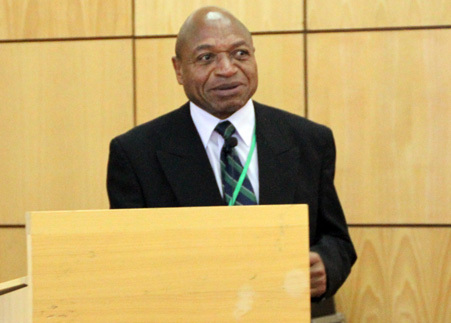 The technical sessions were followed by a presentation in plenary, by Emmanuel Chidumayo, African Forest Forum (AFF), who addressed participants on forest conservation in the light of climate change. Wednesday concluded with a field trip to the Karura Forest Reserve. 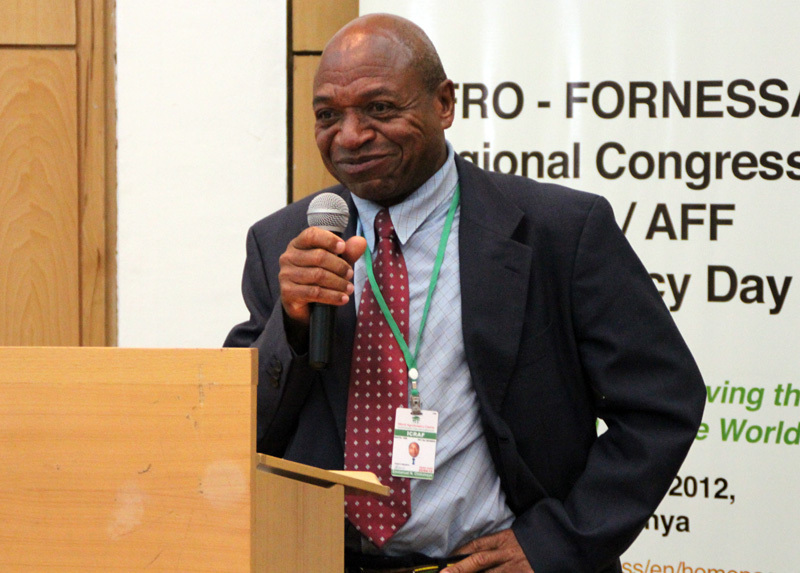 Participants arrive for the second day of the IUFRO-FORNESSA Regional Congress. 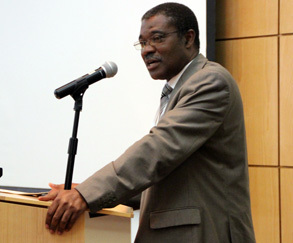 Emmanuel Chidumayo, adressing the audience. 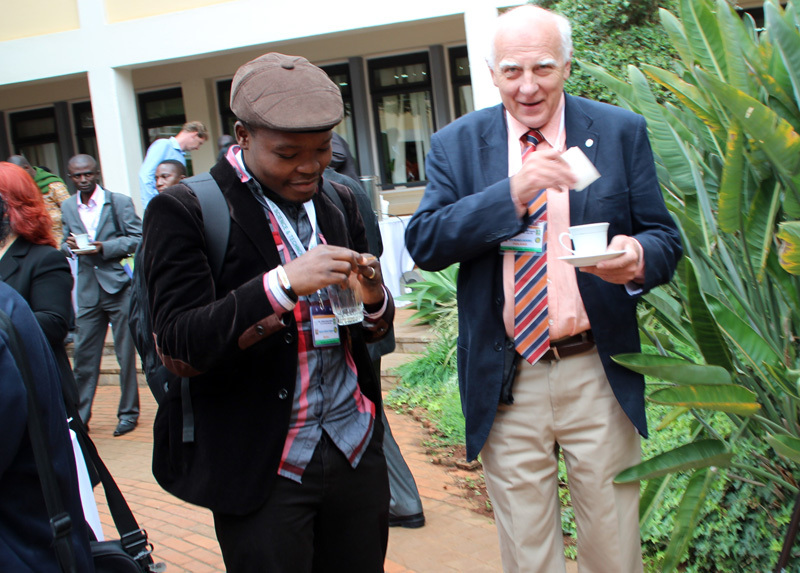 Participants during the tea break. 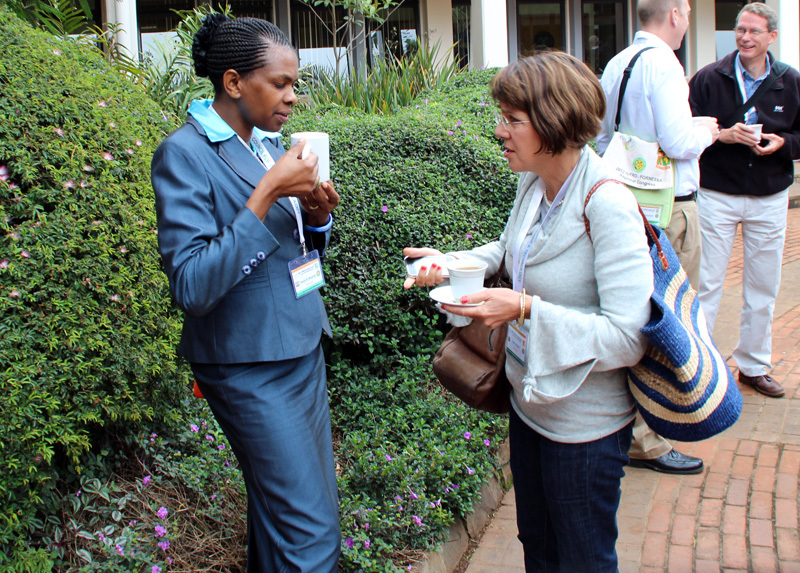 Participants networking during a break from the presentations. In addition, the Congress continued discussions in technical breakout sessions. 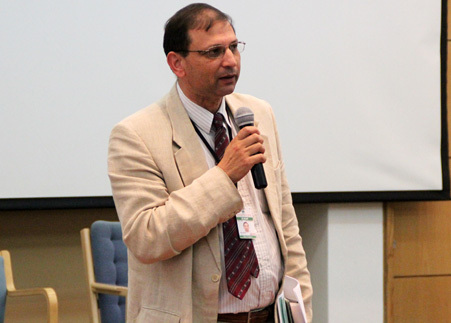 In the session on sustainable development of non-wood forest products for rural livelihood and forest conservation on Thursday morning, participants explored treatment technologies that can increase the service life of products. 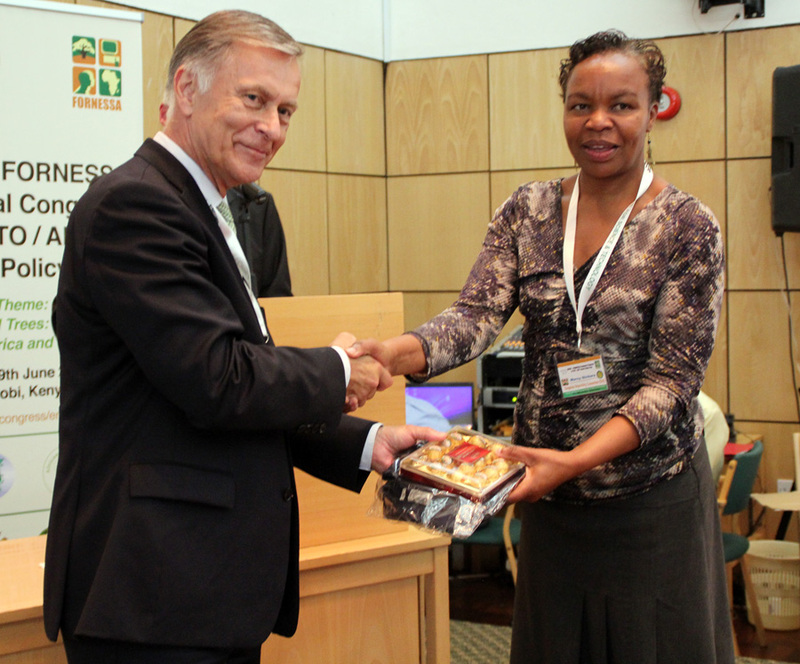 They discussed implications for reducing pressure on timber species and thus supporting the sustainable management and conservation of forests. 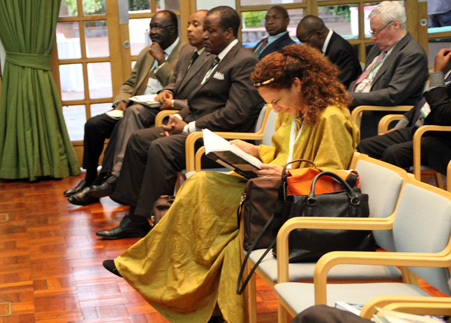 During the session on education, training and capacity building on Thursday morning, participants focused on how to improve forestry education in Africa. They heard presentations on: the reality, challenges and opportunities of forestry education and research; the dynamics of tertiary forestry education; unlocking the potentials of plant resources; fostering the research agenda on plant resources; and enhancing capacity to manage forest genetic resources. 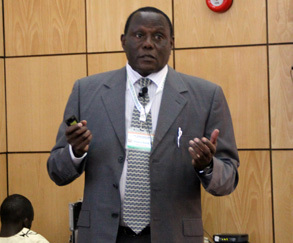 On Thursday afternoon, participants gathered in a technical session on “silvicultural systems: effect of logging on forest regrowth.” In this session, speakers presented the results of a variety of studies, including on: vegetation carbon stock recovery after selective logging; tree community recovery after anthropogenic disturbances; effect of stand regime on the population structure of two plant species; effect of logging on forest regeneration and on forest canopy change; and natural regeneration of timber species following selective logging. 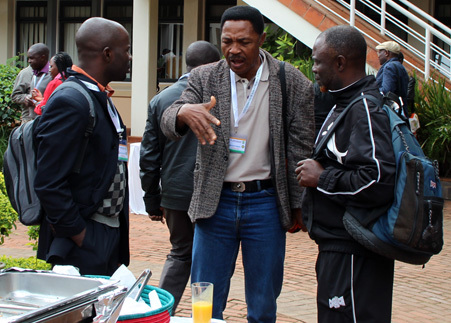 Discussions during the session on assessment of forest resources of conservation value focused on the value, use, and management of non-timber forest resources such as resins, gums, and fungi. They also discussed the value of trees in urban environments in Togo and factors that determined whether households planted and maintained agroforestry species in the Lake Victoria watershed. 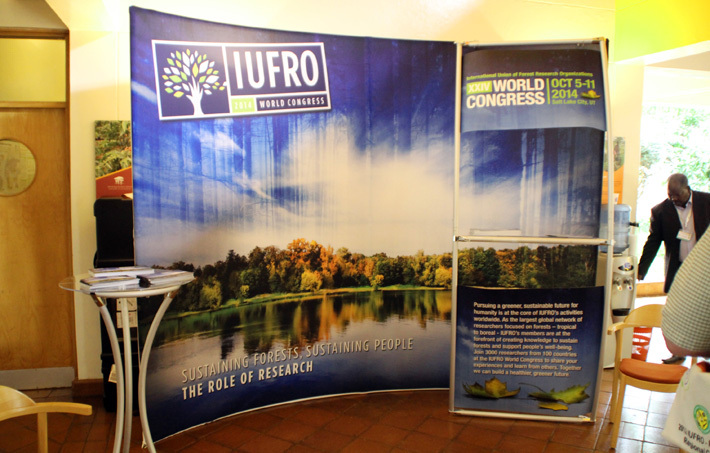 Stand for the 24th IUFRO World Congress, taking place from 5-11 October 2014, in Salt Lake City, Utah, USA. 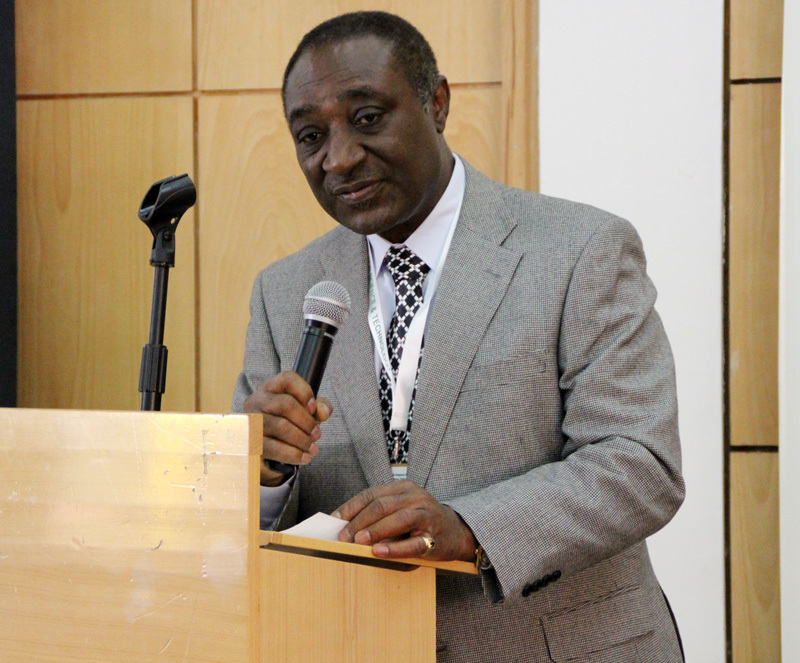 Victor Agyeman, FORNESSA Chair, noting that only 1% of the world’s researchers are from Africa, said “researchers in Africa are an endangered species." Godwin Kowero, Executive Secretary, AFF, called on participants to help build bridges across the forestry sectors of Africa. Emmanuel Ze Meka, Executive Director, ITTO, highlighted the need for constant updates of scientific information to inform forest management policies. 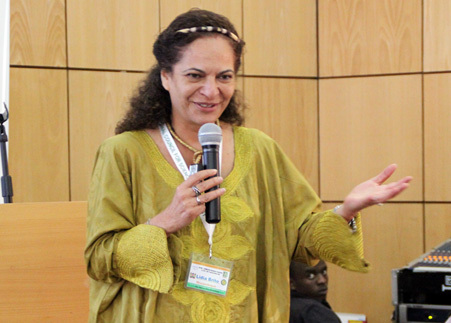 Lidia Brito, UNESCO, said global sustainability has to become part of "our nations’ fabric." 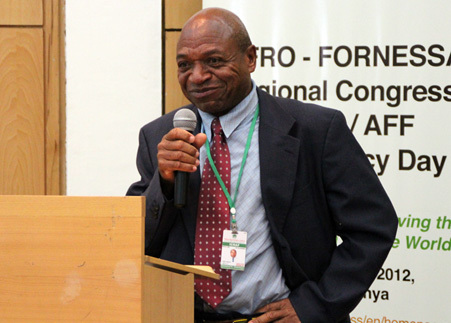 Yonas Yemshaw, AFF, provided a summary of Forest Policy Day's discussions. Denis Koulangna, Ministry of Environment and Forestry, Cameroon, discussed policies and actions in the Cameroon Forest Sector aimed at sustainable forest management. 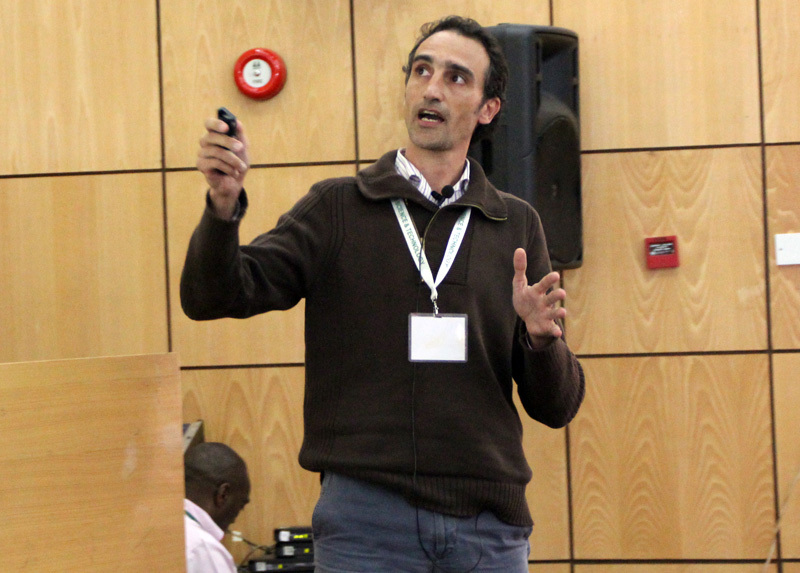 Robert Nasi, Leader, CGIAR Conservation Reserve Program (CRP6), presented on communication science information to support policy and decision-making in forestry emphasizing that policy knowledge is only effective when shared appropriately. Fred Owino, Kenya, emphasized that forestry development must be driven by the best science, and called for research budget increases. 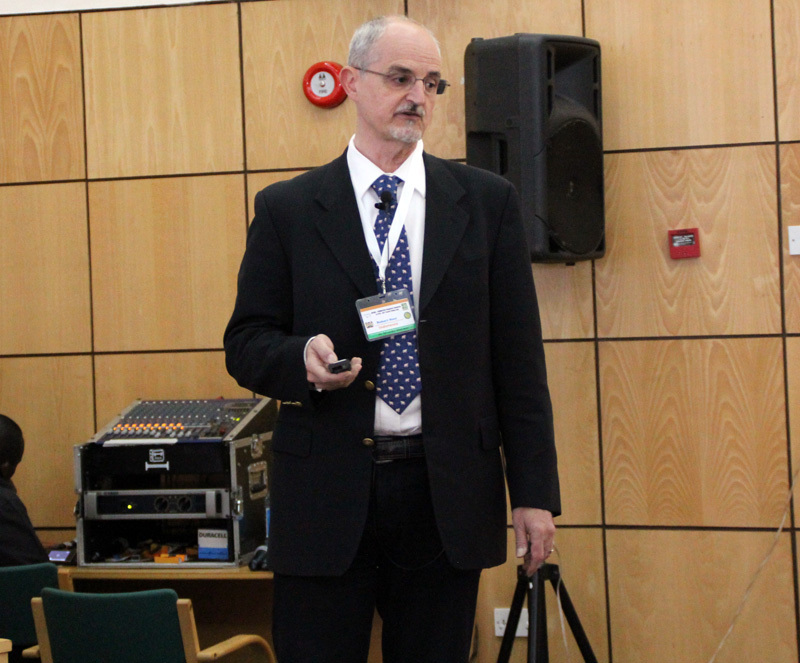 Paolo Omar Cerutti, CIFOR & Australian National University (ANU) , elaborated on commercial chainsaw logging, livelihoods and corruption in Central Africa. 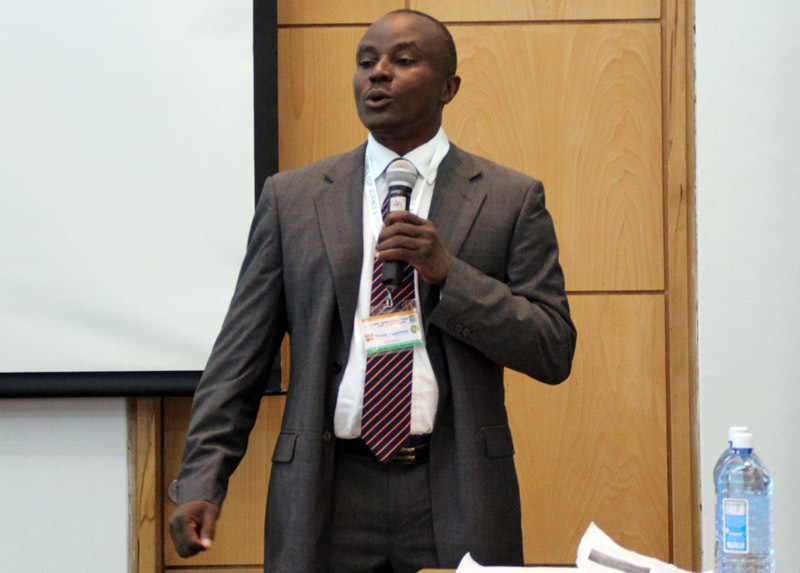 Louis Bernard Cheteu, Cameroon, presented case studies from Cameroon, Ghana and Nigeria of Reducing Deforestation and Forest Degradation and Enhancing Environmental Services in Tropical Forests. Michael Kleine, IUFRO, moderated the afternoon session on policies and governance in African forestry. 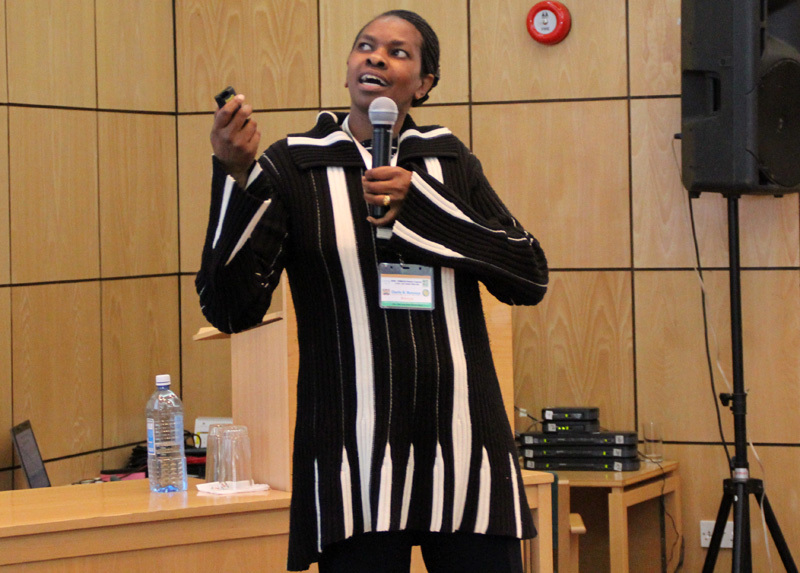 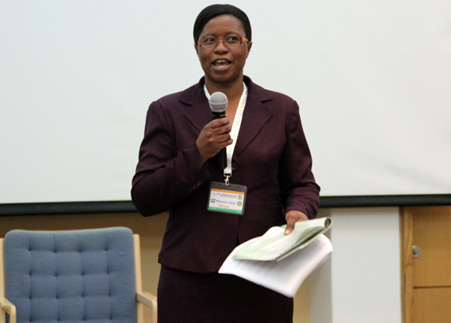 Paxie Chirwa, South Africa, said resource policies are available but require implementation by governments and regional bodies. Ernest Foli, Ghana, said pilot projects are concrete examples of an integrated international and interdisciplinary approach to solving policy-relevant problems. Phosiso Sola, CIFOR Regional Coordinator, Eastern and Southern Africa, stressed the fact that forests in Africa are under-valued. Ravi Prabhu, Deputy Director General Research, ICRAF, noted the need to integrate food production systems. Emmanuel Chidumayo, AFF, emphasized the need for concrete data on land in order to inform policy on land-use. 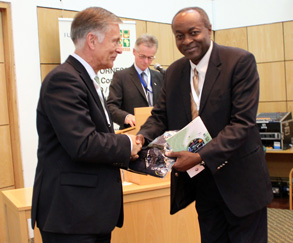 Forest Policy Day ended with a book launch during which some key participants received copies of the two books. 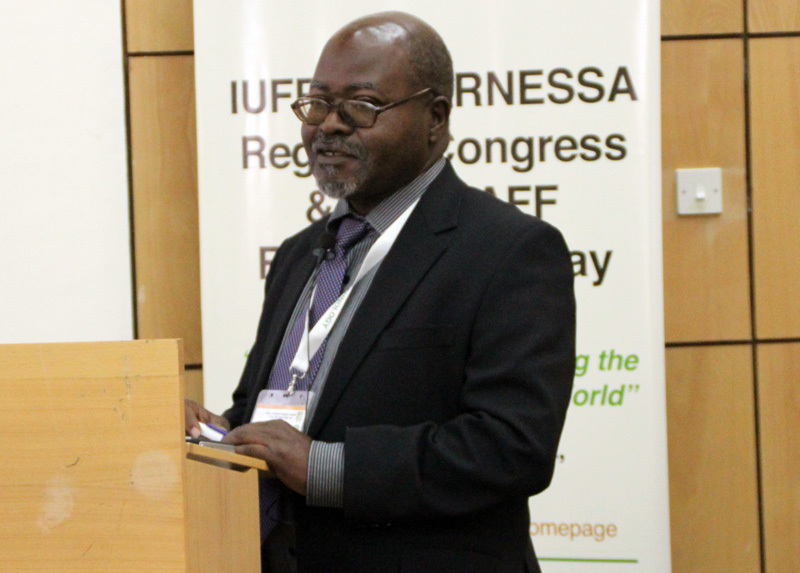 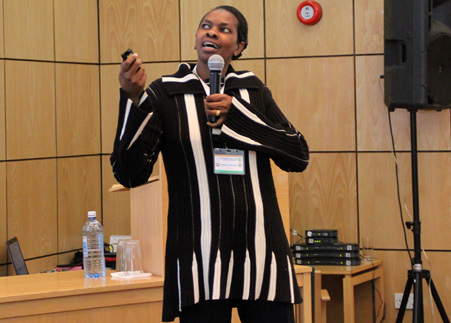 The IUFRO-FORNESSA Regional Congress convened for its final day on Friday. The Nairobi Resolution, which contains key needs for enhancing goods and services from forests and trees in African landscapes, and among other things, calls on African Union Heads of State and Government to devote at least 1% of GDP to research and development, was presented to Congress members. 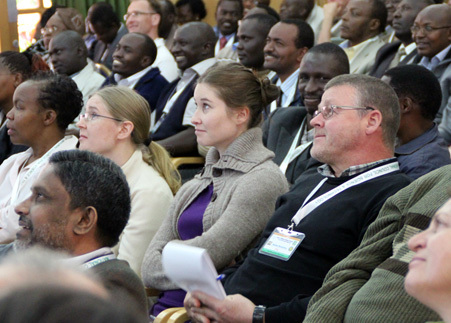 In the morning and afternoon, discussions continued in technical breakout sessions on: climate change mitigation and adaptation; traditional knowledge and spiritual values in forest conservation; genetics and molecular technology applications in forest management; models for forest planning and management; tenure and gender issues in forest management; forest policies and sustainable forest management; forest and human health; forest-based enterprises; and wildlife ecology and management. 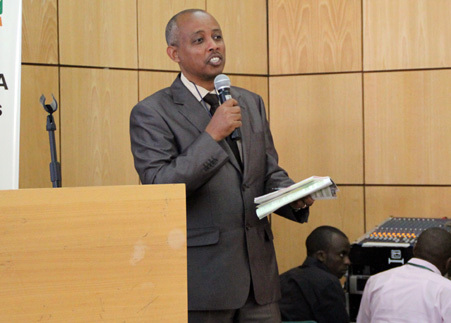 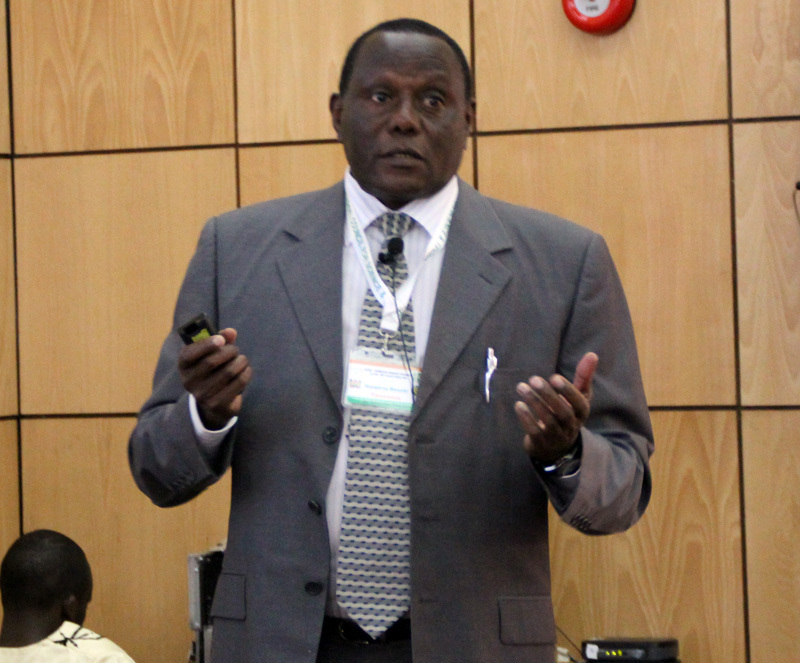 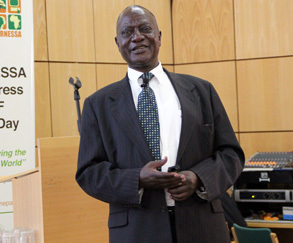 Participants also gathered in a plenary session, during which they were addressed by Jerry Vanclay, Australia, and Humphrey Mwaniki Ngibuini, Tanzania, on incentives for small- and large-scale forests to empower commercial forestry, from the global and African perspectives, respectively. 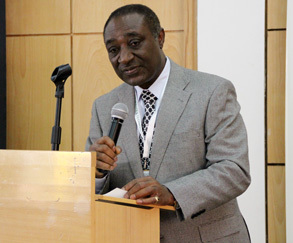 On Friday evening, the Congress convened in a closing ceremony, during which Joe Cobbinah, Chair, Congress Scientific Committee, presented the Nairobi Resolution. 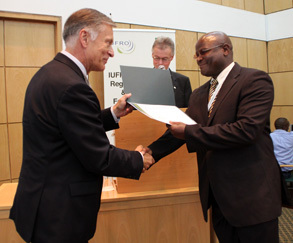 The ceremony also included an award presentation, conducted by Alexander Buck, Executive Director, IUFRO, during which he handed out the Distinguished Service Award to Joe Cobbinah. 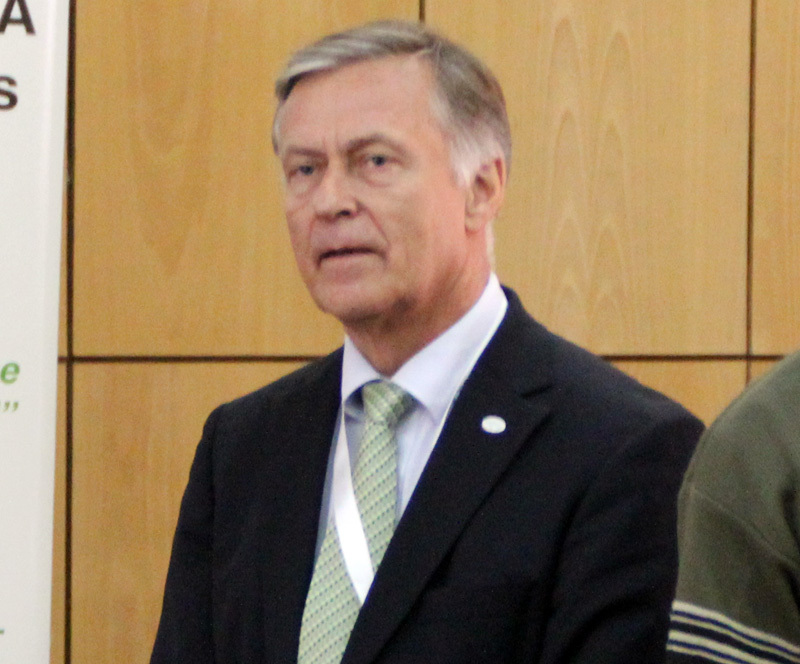 Niels Elers Koch, IUFRO Chair, then handed out certificates and gifts to individuals and organizations that have contributed to the success of the Congress. 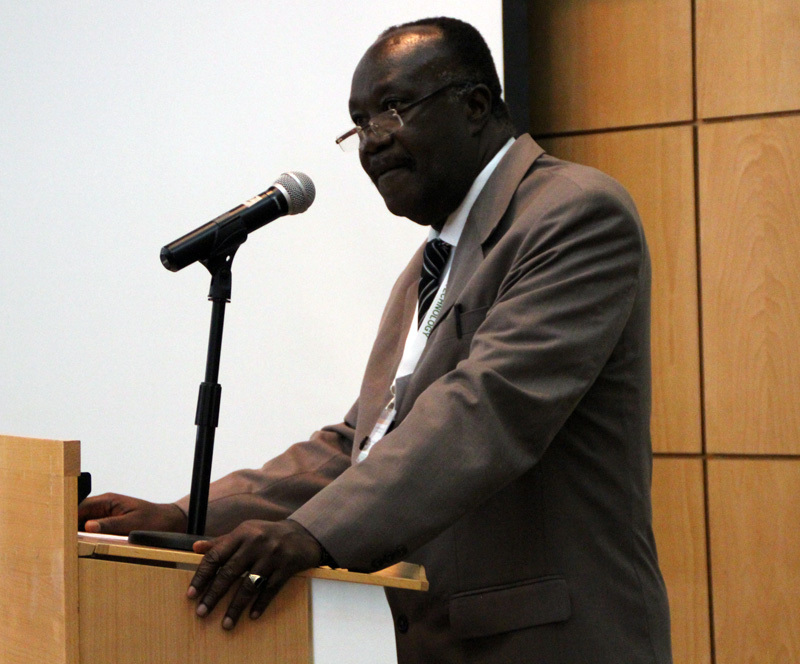 Participants heard closing remarks from Ben Chikamai, Director, KEFRI, and Josphat Nanok, Assistant Minister of Forestry and Wildlife, Kenya. 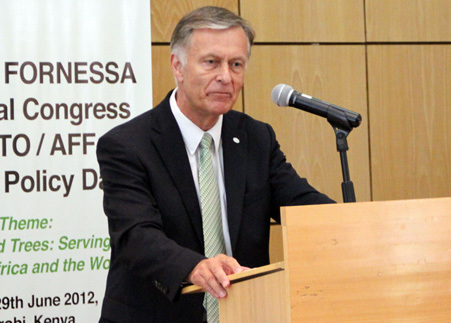 The Congress closed at 5:20pm. Congress participants heard presentations by Jerry Vanclay, Australia, and Humphrey Mwaniki Ngibuini, Tanzania. 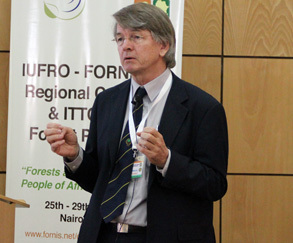 Niels Elers Koch, IUFRO President, moderated the plenary. Jerry Vanclay, Southern Cross University, Australia, called for local incentives across the whole range of ecosystem services in Africa. Alexander Buck, Executive Director, IUFRO, remarked on the Distinguished Service Award, which recognises individuals for their substantial contributions to furthering the scientific, technical and organizational aims of IUFRO. Joe Cobbinah, Chair, Congress Scientific Committee (CSC), presented the Nairobi Resolution, a draft document of the congress resolutions. 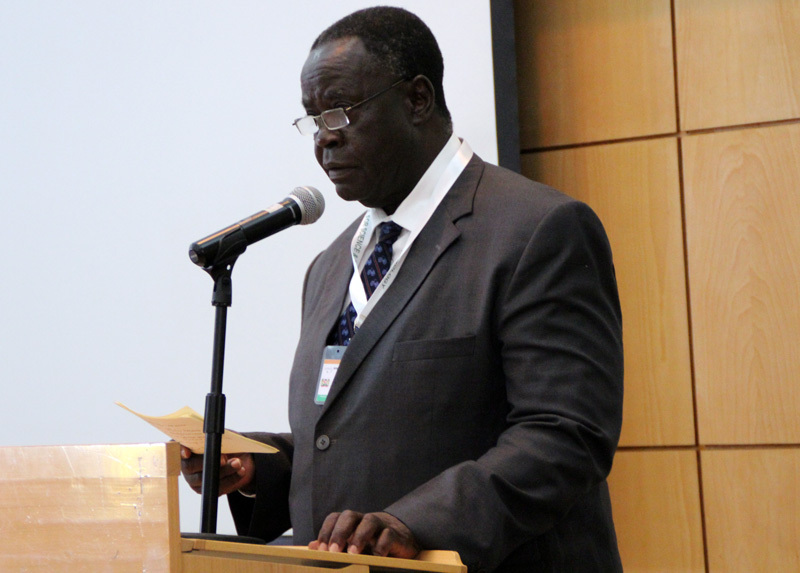 Ben Chikamai, CSC Chair, thanking the organizing committee and all staff of supporting insitutions for their dedicated work and team spirit towards the success of the congress. Ben Chikamai receiving his award from IUFRO President Niels Elers Koch. 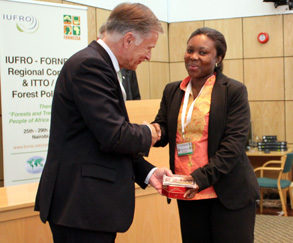 Stella Britwum receiving her award from IUFRO President Niels Elers Koch. 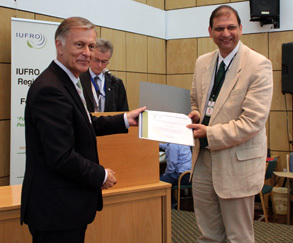 Ravi Prabhu, Deputy Director General Research, ICRAF, receiving his award from IUFRO President Niels Elers Koch. 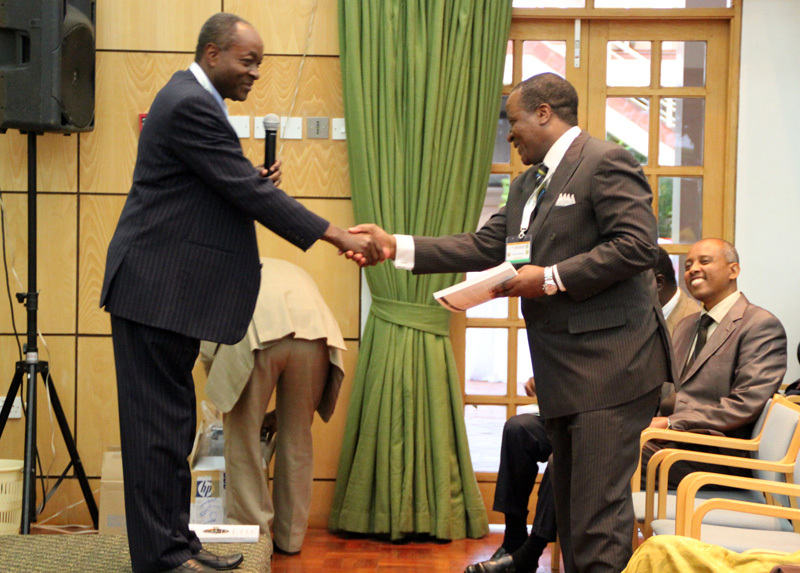 Godwin Kowero, Executive Secretary, AFF, receiving his award from IUFRO President Niels Elers Koch. Mercy Gichora, Executive Secretary, AFF, receiving her award from IUFRO President Niels Elers Koch. Michael Kleine, IUFRO Deputy Director, acknowledges the contributions of the organizing committee and staff of supporting institutions.